Thank you for coming here to find out more about our cookbook fundraiser. 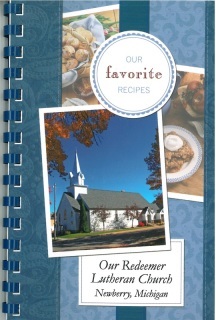 Our Social Ministry and Outreach Committee came up with the idea to sell these cookbooks to fund more Social Ministry and Outreach events. The Gospel is free of charge, but it takes dollars and cents to pay for spaces at summer events, purchase flyers and banners, and have relief funds to help those in our community in need. This fundraiser is a win-win. 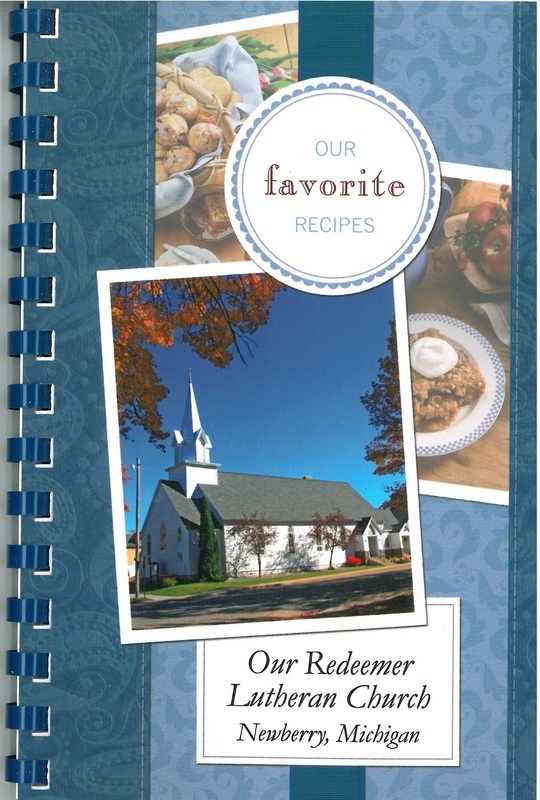 You get a cute and handy cookbook, complete with historical photos from ORLC's past, and members of our community get to hear and be helped by the Gospel of Jesus Christ. You can purchase them online for $12, ($10 a cookbook plus $2 shipping), or come by ORLC to buy one in person. We would love to have you join us for worship and coffee hour. The Food of Our Fathers', Cooking Still! $7.25 from each sale goes back into our Social Ministry programs.